93 people pressed ❤ and 14 people found it worth a retweet when Ivo Gabrowitsch wrote: “If I had one wish, I’d wish for less ‘inspired by’ and more ‘solves this problem’ typefaces.” It is hard to disagree with what he says – but it is also hard to disagree with Ksenya Samarskaya’s reply: “Best ones do both, no?” This post is about what I consider to be a successful example of doing both. Many designers are in love with the aesthetic of monospaced typefaces (i.e., typefaces in which each character occupies the same amount of horizontal space, as opposed to proportionally spaced typefaces in which character widths are independent of one another). The appeal of these typefaces may stem from some kind of nostalgic association with typewriters or from their use in technical environments (computer terminals, programming etc.). Maybe it’s both. In any case, the fascination is there. As a consequence, monospaced (or fixed-width) typefaces are used everywhere – not least in contexts in which their defining feature (fixed spacing) is irrelevant. But this feature keeps on having an impact, mainly on the experience of the reader. In monospaced typefaces, glyphs have to be wider or narrower than in typefaces without the fixed-width constraint in order to fit everything in the space that is available while keeping the spacing optically balanced. The result is not what most designers would like to set a novel in and it’s not what most readers would like to read a novel in. Actually, anything beyond a short stretch of text is a pain to read in a monospaced typeface, however nice things may look at first blush. Type designers have found a solution to this problem. It’s not a new solution, but it is a solution that I think deserves more attention (hence this post). Type designers have created typefaces that look like monospaced typefaces, but actually use proportional spacing. The benefit: Designers get to keep the look they love, but readers don’t have to go through the pain of a true mono. 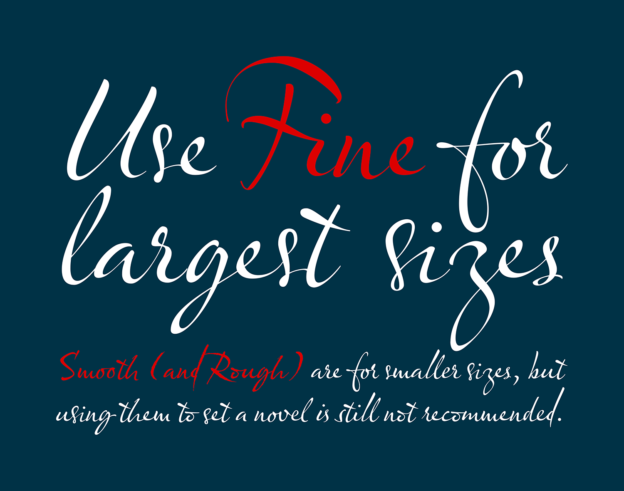 Such typefaces – some call them ‘monofaked’ or ‘fauxnospaced’ – are easier on the eyes than the ‘real thing’. It is a balancing act for type designers to keep enough elements of typical typewriter fonts in order to avoid losing the appearance, while at the same time making substantial improvements to reading ease. The first typeface that fits this description was apparently one called Bulletin Typewriter: Released in metal as a monospaced font, it became available with proportional spacing in phototype and transfer lettering formats. The earliest in-use example of the proportionally spaced Bulletin Typewriter I am aware of is from 1973. American Typewriter was released not much later. In the following list of other typefaces in this category, I will – as usual – apply a liberal interpretation of any relevant criteria: Any typeface that vaguely looks like a console or typewriter typeface (read more about this term in an article by María Ramos) has a ‘monospaced appearance’ in my book. For a change, the sorting will be chronological rather than alphabetical to emphasise developments in this genre. This list started on Twitter. Thanks to Reed Reibstein, David Jonathan Ross, George Triantafyllakos, Daniel H., Dave Coleman, Anthony Masure, Martin Wenzel, Frank Adebiaye, Michael Piotrowski, Akira Yoshino, Eric Mellenbruch, Max Phillips as well as the people from Studio Het Mes, Fonts In Use and Displaay Type Foundry for suggesting typefaces. If you know of any additional typefaces that may qualify, please get in touch. Dieser Beitrag wurde am 23. Februar 2018 von Christopher in Gestaltung veröffentlicht. Schlagworte: Festbreitenschrift, Gestaltung, Monospace, Schriftart, Typografie.